Rory O’Carroll’s timing is either immaculate or unfortunate. 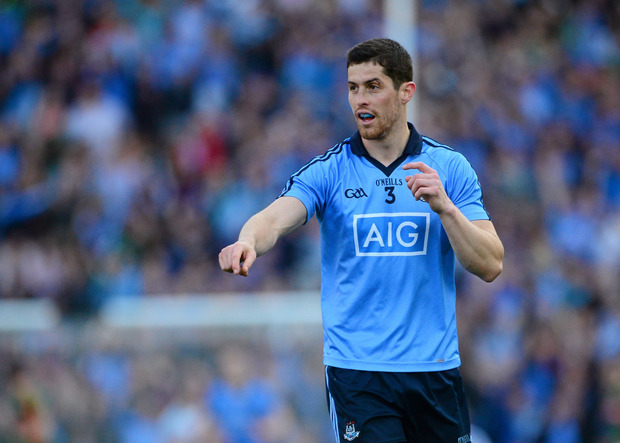 If the erstwhile Dublin full-back hoped to slip quietly back into a life of club devotion without fuss or attention, 10 weeks before the beginning of a quest to win a fifth All-Ireland in a row, it wasn’t an ideal moment, as doubts escalate about the Dubs’ ability to robustly defend the airspace around Stephen Cluxton’s goal. "I’m open to the idea I could play again," O’Carroll said in an interview in February 2016 after deciding that after three All-Irelands with Dublin, he was off to New Zealand to indulge his wanderlust. "And I’m open to the idea I may never play again. I’ll just see how it goes, I’m not too worried about what is down the line." For all the knees jerked by Dublin’s performance against Tyrone at Croke Park on Saturday night, what is undeniable is the fact that Jim Gavin hasn’t had a Rory O’Carroll-like player in his team since O’Carroll left. Donie Kingston found the going good at the edge of the Dublin square in the Leinster final also, while Tyrone’s penalty in the All-Ireland final, won off the back of early, direct and high delivery, curiously eschewed by Harte’s team until late in the game, made the closing stages unnecessarily uncomfortable. "It’s a position that I believe is a slight problem at the moment for Dublin, even with the players back that they’re missing at the moment," says Conor Deegan, the double All-Ireland winning Down full-back and formerly O’Carroll’s manager with the Kilmacud Crokes seniors. "If it is a risk, it’s only a slight one," he says of the decision facing Jim Gavin. "He’s a good fella. He’s a very good guy around the camp. He’s not a toxic presence in any shape or form. "He likes a bit of craic and a bit of fun, which is very, very important. I can’t see any major negatives in bringing him back. I really can’t. "If I was Jim, I’d be bringing him in." The last time O’Carroll returned from a stint abroad to play for Dublin, he estimated it took him eight weeks to get back up to speed with his both his fitness and his skills. That was in 2011, when he missed Dublin’s League campaign after spending the spring in France studying. "There’s a risk that if someone sees how you’re going to line out, they put a runner on him to take him out the pitch," Deegan notes. Naturally then, there are questions about O’Carroll’s ability to take up his inter-county career where he left it off but there are also no guarantees about his motivation to do so. When it’s put to Deegan that O’Carroll is the sort of headstrong individual not easily coerced into doing something if he wasn’t keen on it, he responds: "Oh Jesus…and then some. "He’s a very, very driven man. There’s not many who would have done what he did. To leave a squad like that. "But maybe he said ‘been there, done that. Don’t need it any more.’ Because it takes over your life." How great is Gavin’s need? Dublin’s average concession rate in this year’s League so far is 14.2, roughly in line with last year. But just as Dublin’s ability to absorb the loss of players like O’Carroll was accepted as proof of greatness, a return may be exactly what’s required to clinch pending immortality. "He’s a very destructive player," Deegan notes. "Is it a risk? Slight. Is it worth taking? Absolutely. Why wouldn’t you?"